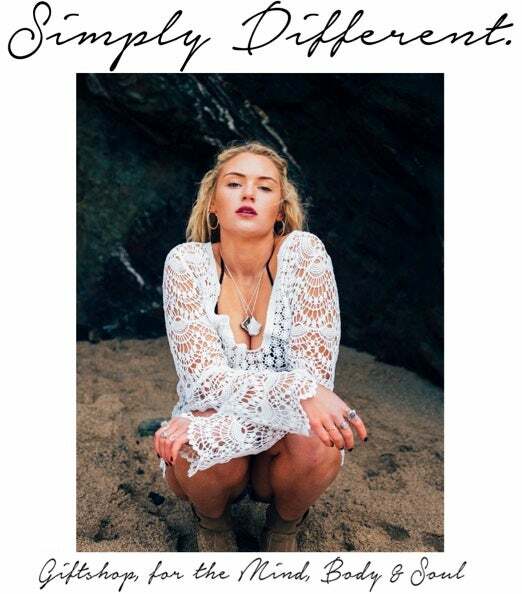 Founded in 2010, ‘Simply Different’ was once known locally as ‘a little piece of heaven’ based in Coleshill, in Birmingham. After the loss of her father, Cara closed the shop to gain the time she needed for healing. Her daughter, Megan then restarted the magic, letting Simply Different live on, which then grew to the little online world of wonder that is today. The shop is filled with gifts and treasures for the Mind, Body & Soul sourced from all over the world, from handmade jewellery, to healing crystals, & bohemian gifts for the home. Simply Different is the page you visit when your heart needs healing love, your soul needs some light and your mind needs a little magic. The shop was created with loving intentions, and with the hope to promote ‘embracing difference’ in every customer. Each order is personally handmade, handpicked and gift wrapped with all the glitter, ribbon and packaging your heart could want. If you have any requests such as including a gift note etc please contact us prior to your purchase via our email; as stated below. As seen in 'Soul & Spirit' Magazine.